Many of the current, and even historical dystopias start with the idea that the government in power has somehow wiped away history. Or that there has been some event that has led to a communal forgetting of the past, allowing those in power to write their own script, or give their own version of history. 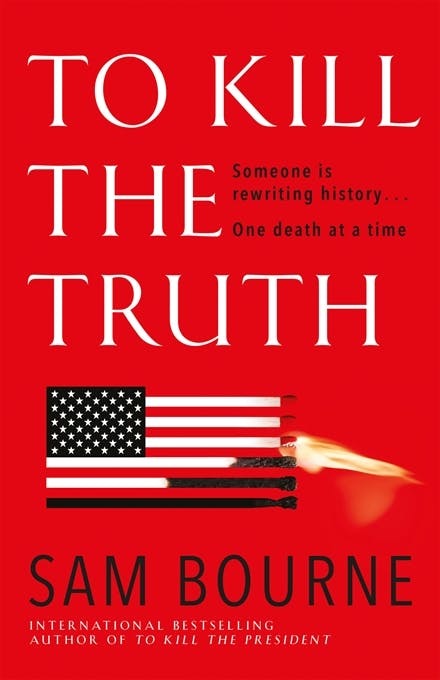 In some ways, Sam Bourne’s latest Maggie Costello thriller To Kill the Truth explores how this might happen. When To Kill the Truth opens Maggie is taking some time off after saving the world as an academic at a Virginia university. She is attending a debate between two academics, one of whom is in court defending accusations that he is a slavery denier. He claims not be be a denier but rather that the record proves that slavery never happened. Maggie’s sabbatical is interrupted when she is called in as a favour to the governor when a historian is found shot dead. She soon finds a pattern of deaths of historians of slavery and the civil war just as one of the largest repositories of source documents related to slavery goes up in flames. It is soon apparent that this fire was not an isolated event as major libraries around the world start to mysteriously burn down. As the global stakes increase so does the personal pressure on Maggie as her online identity is hacked and she faces increasingly serious allegations associated with faked emails then a faked compromising video and later a faked death threat to the President. The action only stops for a lengthy conversation between Maggie and an old colleague about why someone might be trying to erase the historical record and the fact that this is really what Americans want. This section, and plenty of others, contain not so subtle digs at Donald Trump (never named) and about how even when there is an accepted and clear historical record his followers just believe what they want to believe. What Americans don’t want, according to the thesis of her antagonist, is to be burdened with pesky facts or scientific evidence or legitimate source documents from the po-faced left. On the other side, Bourne considers the downsides of global amnesia and the impacts it would have on civilisation and culture. But in the end, putting some of the polemic and debate aside, To Kill The Truth is at its heart a super-villain driven techno-thriller. When reading a good thriller of this type, there is always the faint possibility the threat could actually be possible. But the possibility is usually just as unlikely as the existence of people like Maggie Costello who can take on the bad guys, defy authority, make intuitive leaps of deduction and solve problems under intense physical and emotional pressure. Both of these elements together, though, make for a propulsive and page-turning read.